1U Flanged Spacer Blanks are a cut above the rest. 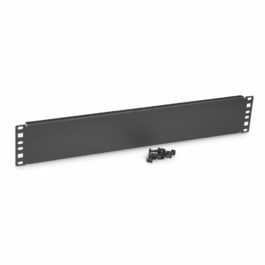 Spacer Blanks are often used as a way to fill in any gaps and conceal empty rack spaces in a rack or enclosure. The use of filler panels not only makes racks look neat, clean, and organized, but when installed properly they provide added support to the mounting rails. 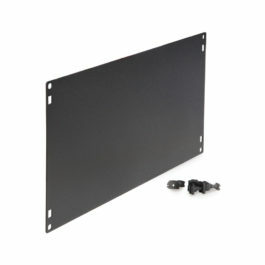 These rack panels are also critical for controlling proper airflow especially in cold aisle/hot aisle applications. 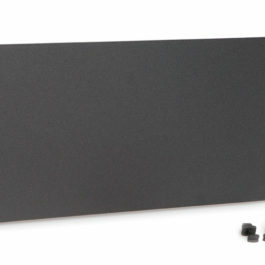 1U Flat Spacer Blanks are a cut above the rest. 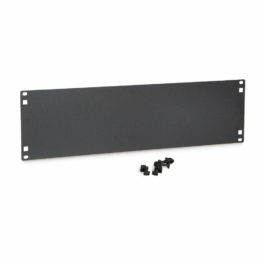 Spacer Blanks are often used as a way to fill in any gaps and conceal empty rack spaces in a rack or enclosure. The use of filler panels not only makes racks look neat, clean, and organized, but when installed properly they provide added support to the mounting rails. 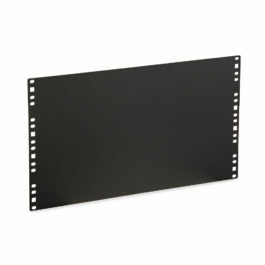 These rack panels are also critical for controlling proper airflow especially in cold aisle/hot aisle applications. 2U Flanged Spacer Blanks are a cut above the rest. 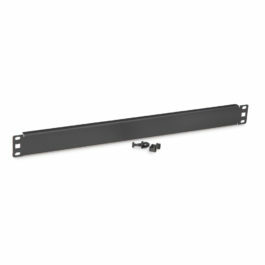 Spacer Blanks are often used as a way to fill in any gaps and conceal empty rack spaces in a rack or enclosure. The use of filler panels not only makes racks look neat, clean, and organized, but when installed properly they provide added support to the mounting rails. These rack panels are also critical for controlling proper airflow especially in cold aisle/hot aisle applications. 2U Flat Spacer Blanks are a cut above the rest. 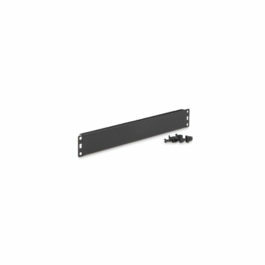 Spacer Blanks are often used as a way to fill in any gaps and conceal empty rack spaces in a rack or enclosure. The use of filler panels not only makes racks look neat, clean, and organized, but when installed properly they provide added support to the mounting rails. These rack panels are also critical for controlling proper airflow especially in cold aisle/hot aisle applications. 3U Flanged Spacer Blanks are a cut above the rest. 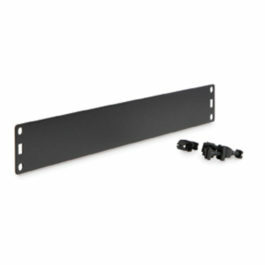 Spacer Blanks are often used as a way to fill in any gaps and conceal empty rack spaces in a rack or enclosure. The use of filler panels not only makes racks look neat, clean, and organized, but when installed properly they provide added support to the mounting rails. 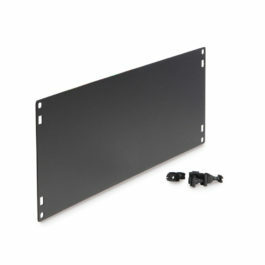 These rack panels are also critical for controlling proper airflow especially in cold aisle/hot aisle applications. 3U Flat Spacer Blanks are a cut above the rest. 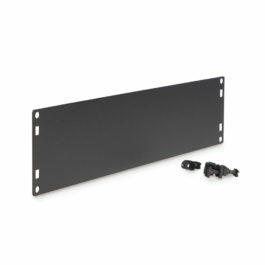 Spacer Blanks are often used as a way to fill in any gaps and conceal empty rack spaces in a rack or enclosure The use of filler panels not only makes racks look neat, clean, and organized, but when installed properly they provide added support to the mounting rails. 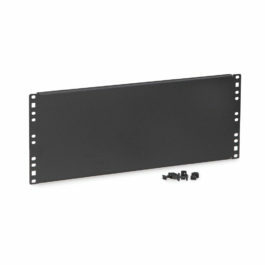 These rack panels are also critical for controlling proper airflow especially in cold aisle/hot aisle applications. 4U Flanged Spacer Blanks are a cut above the rest. 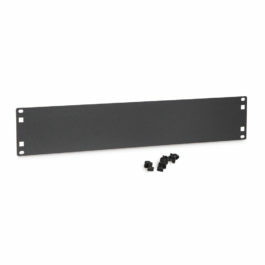 Spacer Blanks are often used as a way to fill in any gaps and conceal empty rack spaces in a rack or enclosure. The use of filler panels not only makes racks look neat, clean, and organized, but when installed properly they provide added support to the mounting rails. These rack panels are also critical for controlling proper airflow especially in cold aisle/hot aisle applications. 4U Flat Spacer Blanks are a cut above the rest. 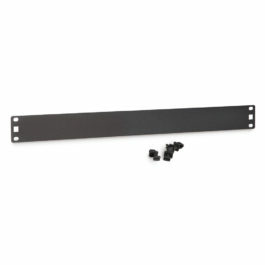 Spacer Blanks are often used as a way to fill in any gaps and conceal empty rack spaces in a rack or enclosure. The use of filler panels not only makes racks look neat, clean, and organized, but when installed properly they provide added support to the mounting rails. 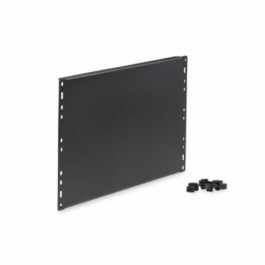 These rack panels are also critical for controlling proper airflow especially in cold aisle/hot aisle applications. 6U Flanged Spacer Blanks are a cut above the rest. 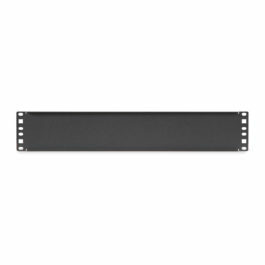 Spacer Blanks are often used as a way to fill in any gaps and conceal empty rack spaces in a rack or enclosure. The use of filler panels not only makes racks look neat, clean, and organized, but when installed properly they provide added support to the mounting rails. These rack panels are also critical for controlling proper airflow especially in cold aisle/hot aisle applications. 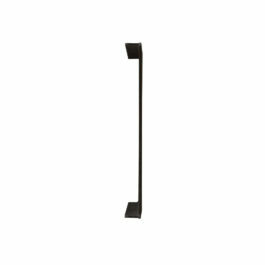 6U Flat Spacer Blanks are a cut above the rest. 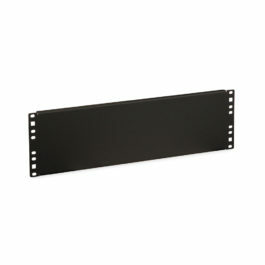 Spacer Blanks are often used as a way to fill in any gaps and conceal empty rack spaces in a rack or enclosure. The use of filler panels not only makes racks look neat, clean, and organized, but when installed properly they provide added support to the mounting rails. 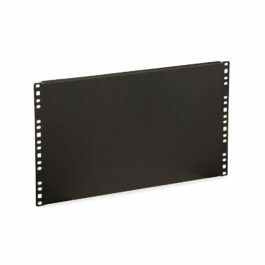 These rack panels are also critical for controlling proper airflow especially in cold aisle/hot aisle applications.